Learn to read a pattern, use a rotary cutter, cutting mat and ruler (all at the same time!) 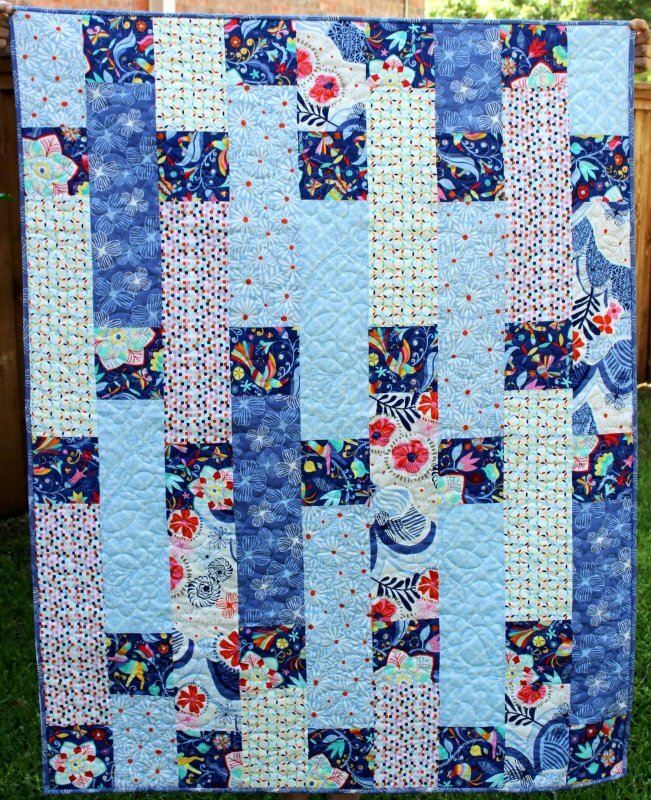 and sew in a straight line to piece your quilt top. This class is one day long. You should have a working sewing machine and be familiar with its operations. -Long Quilting Ruler (5" x 24", 6" x 24" or 6.5" x 24"); we suggest 5" x 24" O'lipfa ruler (available in-store); it has a lip edge on one end to help your cutting stay straight. -Required Fabrics on card to complete quilt (6 Fat Quarters + 3 more Fat Quarters for Squares OR 3/4 yd for Squares). Includes instruction. Supplies not included. Please check with store for supply list.